This year, All Saints’ is adding some formational flourishes to the annual Easter Egg hunt. Like at many churches, attendance increases on Easter and we have many folks who join us for the first time, especially children. In order to provide some Christian formation opportunities, there will be a short children’s lesson in the K-5th grade classroom around 10:00am, after children finish eating brunch. After the 10:30am worship service, all children are invited to participate in the Easter Egg Hunt. This year, as children empty their eggs, they will find both candy and “Saintly Shekels” — play money in several denominations. As children collect their Saintly Shekels, they are invited to drop it into three jars representing local non-profit charities that help children. The play money will later be replaced with real money and donated to those charities. The child will get a piece of candy for each Saintly Shekel donated. The donation jars will be located on the stage in Sutherland, where the children can also pick up their stuffed Easter bunny. Help us spread the word and invite others to partake in this formational experience that communicates Jesus’ message about caring for our neighbors. The showdowns of Lent Madness continue! The Saintly 16 of 2019 have been locked in by popular vote and we are now halfway through the round of the Elate 8. As for our All Saints’ competitors, Carolyn McLellan continues to lead the pack! Her bracket is closely followed by Rev. Michaelene Miller, Nancy Smith, and Carol Lee with several more right on the cusp of glory! Stay turned for more madness in the coming weeks! Practicing Prayer is a gathering for those interested in deepening their friendship with God. We meet each Sunday, 4:30 to 5:30 in the Youth Room, to explore practices that support contemplative awareness, and pray in silence for 20 minutes. We have decided to read together Richard Rohr’s new book The Universal Christ. We will begin our meeting with 20 minutes of silent prayer, and then discuss Chapter 2, “Accepting That You Are Fully Accepted.” Please come even if you have not yet read this. All are welcome. Neighbors Table Join us on Sat. April 13, 2019 for weekly meal served from 12:00 to 1:00 PM. Thanks to those whose generosity helps us serve delicious, nutritious meals every Saturday. We continue to welcome newcomers to Neighbors Table nearly every week. Please remember Neighbors Table in your prayers. Volunteers are welcome to join the teams on Saturdays from 9:00 AM until 2:00 PM or for a couple hours during this time to help prepare food, serve or clean up after lunch. Schedules and dates are listed on the sign-up white boards in Sutherland Hall. Anyone with questions or would like to serve in other ways contact Sue Hastings-Bishop at shastingsbishop@gmail.com or by phone 231-349-3671. 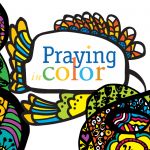 Weekly Prayers:Robert Woods, Jim and Marilyn Tischhauser, Matthew Hlass, Don Price, Jeni Green, Kristin Reed, Sheila McDonald, Bruce Moore, Adam and Ryan Meyer, The Cotton Family. Long Term Prayers:Sandy Britt, Gib Bewley, Tom Munson, Caleb Judd, William Gillum, Lillian Tweed, Aaron Tackett, Mike Miller, Michelle, Barbara Johnson, Jeannie McCabe, Arthur Hastings, Isaac, Sarah Lee, The Kellner Family, Christine Ivy, Jack and Carol Lee, Donna Van Horn, Rudy Jr., Israel, Bernice Delabra and Family, Espinosa Family, Pam Lundquist, Henry Wilkinson, Susan Shelton, Maxima Vargas, Don Hudson, Pam Van Horn. The First Reading Isaiah 43:16-21 Thus says the Lord,who makes a way in the sea,a path in the mighty waters, who brings out chariot and horse,army and warrior; they lie down, they cannot rise,they are extinguished, quenched like a wick: Do not remember the former things,or consider the things of old. I am about to do a new thing;now it springs forth, do you not perceive it? I will make a way in the wildernessand rivers in the desert. The wild animals will honour me,the jackals and the ostriches; for I give water in the wilderness,rivers in the desert, to give drink to my chosen people,the people whom I formed for myself so that they might declare my praise. Psalm 126 1 When the Lord restored the fortunes of Zion, *then were we like those who dream. 2 Then was our mouth filled with laughter, *and our tongue with shouts of joy. 3 Then they said among the nations, *”The Lord has done great things for them.” 4 The Lord has done great things for us, *and we are glad indeed. 5 Restore our fortunes, O Lord, *like the watercourses of the Negev. 6 Those who sowed with tears *will reap with songs of joy. 7 Those who go out weeping, carrying the seed, *will come again with joy, shouldering their sheaves.